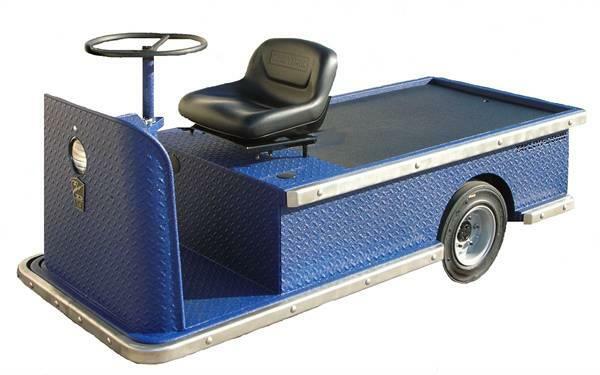 Beskrivelse Only 760 mm wide, these compact trucks clear narrow aisles and standard doorways. Full 360° turns can be made in a mere 355 cm. Adjustable seats and all-steel construction ensure a comfortable, safe ride. Please note: Vehicles shown may have optional accessories at additional cost! Please contact us for pricing and tech information! PLEASE NOTE: ALL PRICES ARE NET AND EX WORKS BUDAÖRS, HUNGARY!